Frozen iguanas are tumbling off their perches in Miami’s suburbs, as South Florida and much of the US Southeast are in the grips of a frigid winter storm, as the freezing weather grows in intensity as it moves up the East Coast. 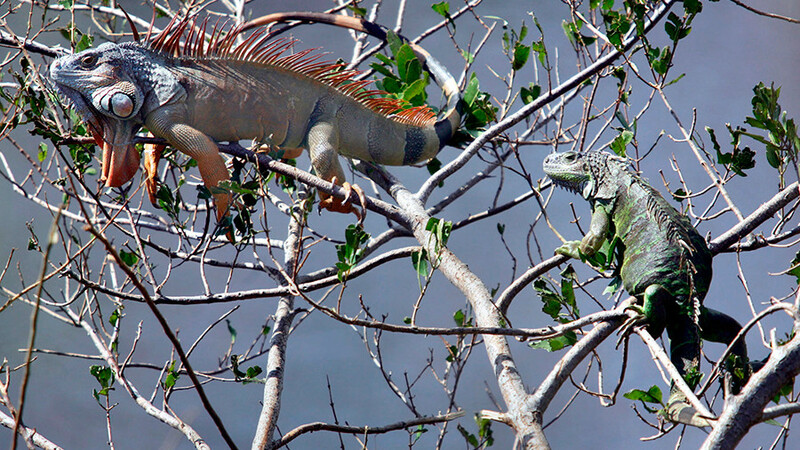 The iguanas were seen dropping from the trees Thursday because they are cold-blooded creatures, and if the temperature drops below 50 degrees, the reptiles become sluggish. 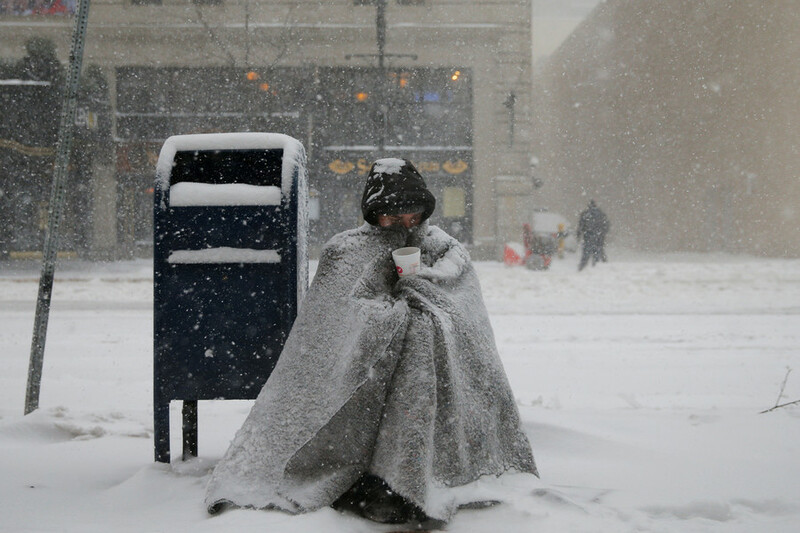 If the temperature drops lower than 50, as it has in some parts of South Florida, the creature becomes completely immobilized, according to the Daily News. 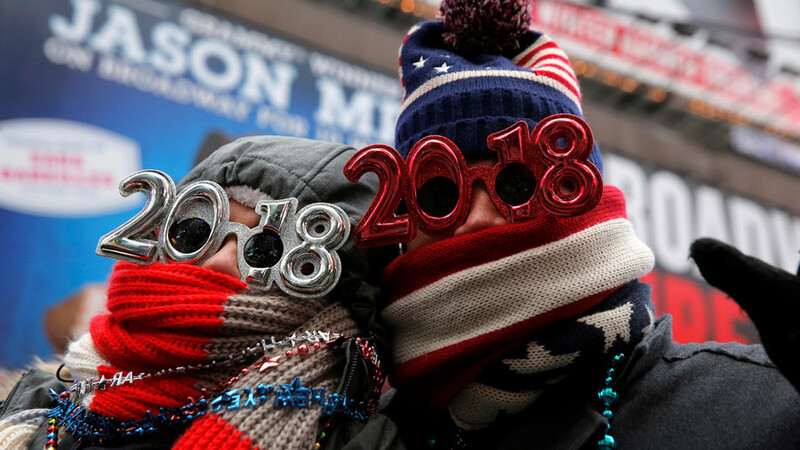 The National Weather Service (NWS) reported Thursday morning that some parts of South Florida experienced temperatures below 40 degrees. Various residents and news outlets have been tweeting and posting pictures and videos of the fallen reptiles on social media. Iguanas are not the only reptiles being affected by the cold snap in the Southeast this week. Sea turtles have also stiffened up as a result of the rare weather in the region. Officials with Gulf World Marine Institute in Panama City Beach say more than 100 stunned sea turtles have been rescued and are currently in rehabilitation, according to the Associated Press. 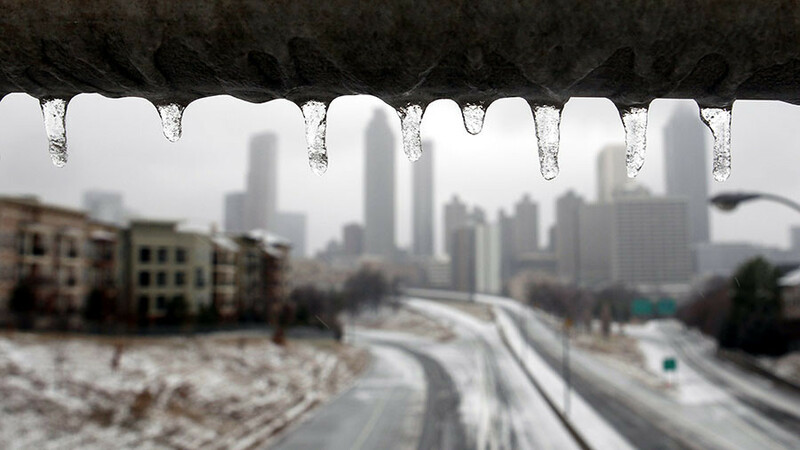 On Wednesday, parts of the Southeast experienced the most snowfall the region has seen in over thirty years. 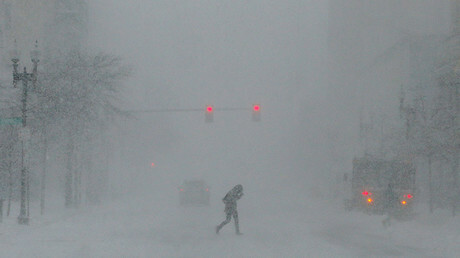 The storm was dubbed a “bomb cyclone,” or bombogenesis. A storm is considered a bomb when it drops 24 millibars of pressure in the time span of 24 hours. The inclimate weather caused airports in Charleston, South Carolina and Savannah, Georgia, to cancel a total of 500 flights Wednesday. The same winter storm that has been causing the rare cold-front in parts of Florida, Georgia and South Carolina this past week, will hit the Northeast even harder Thursday as the storm strengthens. It is threatening to dump as much as 18 inches of snow on the Northeast region, according to CBS News.